I9505XXUFNB8 Android 4.4.2 KitKat Firmware Last Updated on 3-Mar-2014. Download and install the latest XXUFNB8 4.4.2 KitKat Firmware on Samsung Galaxy S4 GT-I9505 (Snapdragon) Smartphone. Samsung recently started rolling out an OTA update the firmware. The latest firmware build version is I9505XXUFNB8. However, the firmware is currently released only for Germany. Hope the firmware will hit other part of the world soon. The Samsung GT-I9505 was released with Android 4.2.2 JB and receiving Android 4.3 JB from the month of October. This is the first official Android 4.4.2 KitKat Firmware for the device. If you own the device and not yet updated this latest firmware, then update the same using our simple tutorial below. The below guide will help you to download and install the I9505XXUFNB8 Android 4.4.2 KitKat Firmware manually through Odin. If you already updated the I9505XXUFNB8 firmware and looking for an easy to follow method to root the firmware, then follow this guide- Root I9505XXUFNB8 Android 4.4.2 KitKat Firmware on Samsung Galaxy S4 LTE GT-I9505- Simple Tutorial. The latest Android 4.4.2 KitKat is definitely a great update for the Galaxy S4 I9505 users. The latest firmware will upgrade the OS version to 4.4.2 KitKat and will bring many new features and performnace tweaks. So, want to update your Galaxy S4 I9505 to the latest XXUFNB8 Android 4.4.2 KitKat firmware? To install in official way, either you can go for OTA (over the air) from Settings-About Phone-Software Update or download firmware through the Samsung Kies utility. However, most of us prefer manual way to update official firmware. So, in this article you’ll find step by step manual guide to update the latest Android 4.4.2 I9505XXUFNB8 firmware on your Galaxy S4 I9505 through Odin. "The firmware is released only for the Samsung Galaxy S4 GT-I9505 model, so don’t try this in any other android device. Check your device model number from Settings-About Phone. Also the tutorial is based on Windows PC. Follow all the pre-requisites, procedures and steps carefully to avoid breaking your phone". Samsung rolled out the firmware for the following countries. The firmware which are unbranded or not locked to any carrier, no matter of which country or region, can be flashed on any Galaxy S4 GT-I9505 model. All the above pre-requisites are very important and must follow before proceed to installation guide. Hope you get all the above points. 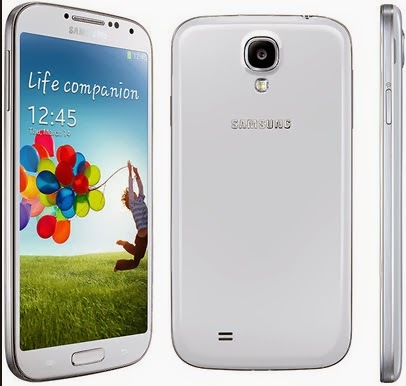 Now, go through the below tutorial to install Android 4.4.2 I9505XXUFNB8 official firmware on Galaxy S4 I9505. Switch off your phone and boot Galaxy S4 I9505 into Download Mode by pressing and holding the Volume Down+Home+Power buttons (long press until the boot screen appear), now press Volume Up key to proceed to Download Mode. Congratulations! your Galaxy S4 I9505 is now updated to the latest and official Android 4.4.2 KitKat firmware. Hope you successfully completed the installation guide. If you followed everything as mentioned in the above tutorial, then your your Galaxy S4 should now running on the latest Android 4.4.2 KitKat build version XXUFNB8. You can confirm the firmware update details from Settings-About Phone. You can contact with us using the comment form below, if you find any problem with the above tutorial and download link and also share your experience with us. The firmware is not recommended for carrier locked devices. You should wait for your carrier specific firmware. However, If you have unlocked I9505 then you can flah the firmware, no matter which country your device belongs to. Yes, in most cases signal not appear, calling issues along with some other problem you may face. That's why we not recommend to flash normal firmware to any carrier locked device. flashed 4.4.2 but not work wifi!!!!! ???? This steps are beautiful, clear and effective! thank you very much!!! did camera icon shows in your lock screen? If you have unlocked I9505 model then you can flash this and change the language after installing the firmware. Mohammed Nasir,Thanx bro..it was as clear as it could be. For all future visitors, Just wait after you see 'reset'...until it completes! !